For the most part, having different perspectives and points of view from our closest family and friends can be a good thing. But imagine a situation in which the different values of those we love have more serious consequences – consequ ences that may determine how we live the last moments of our lives. Situations like these are all too common in hospitals and intensive care units throughout the country, when family members are left blindly guessing what steps to take in the care of an incapacitated loved one. A Health Care Proxy form designates a representative or agent, who can make medical decisions on your behalf. This health care agent will in effect assume control the way in which you live or die – so it is every important to designate someone you trust! Remember, this person will not assume control over your medical care until a physician has determined, in writing, that you are unable to make your own decisions. Until then, you will retain total control. It is important to leave your health care agent with a detailed sense of what you want. One study found that 74% of health care proxies did not make the right decision for their charges because they lacked adequate information about the patient’s wishes. One effective way to leave your health care agent with a sense of your wishes is to establish a living will. Some living wills provide only general instruction, while others go into great detail about the wishes of patients. The basic idea of a living will is to provide guidelines for how you wish to be treated if you are ever incapacitated. A Living Will can help make the most difficult decisions – such as whether to end or prolong curative treatments or life support – plain and clear. The document goes into great detail and allows you to make your wishes known. It is also convenient because it designates a health care proxy as its first wish. Rather than having two separate forms – a living will and a health care proxy – the Five Wishes document keeps everything together in one convenient place. Think of this as the financial version of your health care agent. The person to whom you grant power of attorney will have the right to make financial decisions on your behalf once you become unable to do so yourself. This person will be authorized to make banking transactions, endorse and write checks to pay for basic expenses like utilities, or apply for disability. The word “Durable” means that whoever has power of attorney will retain that power after you become medically incapacitated. To request a Health Proxy Form, inquire with your Health Care Provider, or contact Massachusetts Health Decisions, PO Box 417, Sharon, MA 02067. They will send you a brochure, a six-page User’s Guide and two copies of the form for $6 postpaid. Another popular and detailed living will, virtually identical to the Five Wishes, is Caring Conversations. For more information, you call the Center for Practical Bioethics at 816 221-1100, or download the document online at http://www.practicalbioethics.org/FileUploads/FINAL.Caring%20Conversations%20Workbook%202010.pdf. 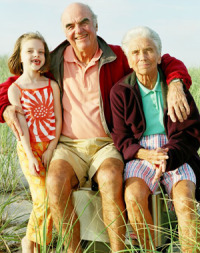 You can obtain forms for durable power of attorney from your bank or financial institution. Massachusetts law requires that a notary public be present when you sign the these forms, but no witnesses are required.